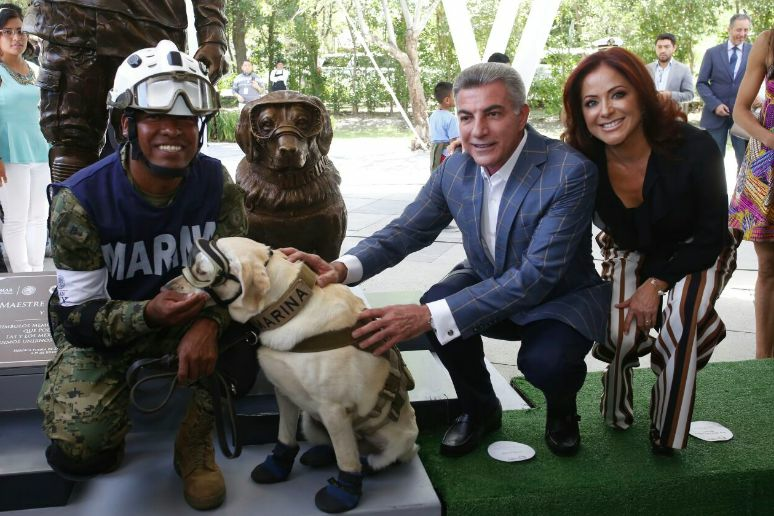 Home Animals Frida the hero dog from Mexico gets statue. All our pets are little heroes to us, but some animals go above and beyond, whether they’re service dogs or pups who have been trained to search and rescue. 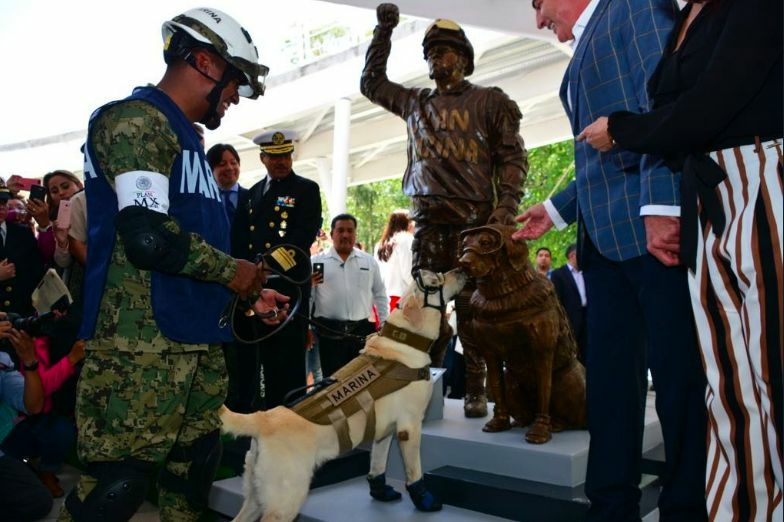 Frida the dog is a lab who falls into the latter category: In 2017, she rescued a dozen people after an earthquake in Mexico leveled buildings, trapping people in the rubble. Many dogs are trained to sniff people out in catastrophes, but Frida stood out from the pack. 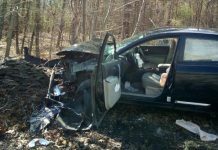 She found 12 people, saving their lives. Remezcla reports she was awarded a medal for her bravery a few months later called the Pagés Llergo prize. Featured with Frida is her trainer, Israel Arauz. The world loves Frida, and she loves doing her job. 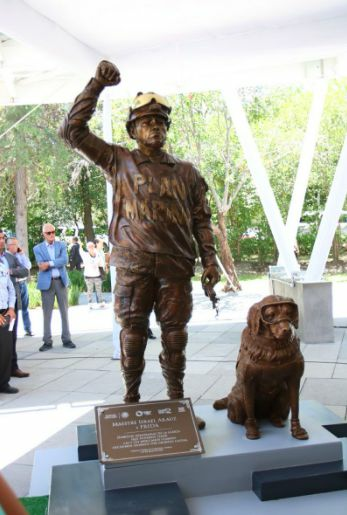 To be honest, I couldn’t visit this dog statue, because every time I think about brave dogs, I start weeping. It makes blogging very difficult, because there are so many brave dogs on the Internet. I can’t meet them in real life, too! This is a painting of Frida, it’s in a bar located in one of the most damaged zones in the earthquake of September in our beloved Mexico City. For us it’s more than a symbol, is part of our history. Thank you for your service, Frida. I hope they gave you bacon to go with the bronze. Next articleKylie Cosmetics Complaints — Is Kylie Cosmetics Worth It?